Google Authorship is a key part of any site’s success to rank higher, gain more followers, and get more traffic. Google is looking to put user identity at the forefront of a number of its products, including search via what it call ‘AuthorRank’. If you don’t take part, you are going to get left behind. You can follow me on Google+ here. As you know from reading this blog, creating a brand is incredibly valuable for building and strengthening relationships via social media and otherwise. People have more trust in recommendations from their circle of “friends”, including companies they follow on social networks. Google Authorship has made it easier for authors and businesses to get their brands in front of prospective customers and improve ranking — they can now represent themselves alongside their content within Google’s search engine results pages (SERP). Establishing a direct link between you and your articles or posts enables Google to display your picture next to the titles and descriptions of your site’s content so you stand out from the crowd. Go to https://plus.google.com and create one. If you have a Gmail account, you can use that profile to get started. Make sure the domain of the email address you use is the same as the domain of the site for which you’re creating content — this will help Google connect your Google+ account to that domain. Google has made it easier to edit all your personal details with a new card-like format for profile information under the “About” tab on your Google+ profile. Each of these cards now has its own prominently-displayed “Edit” button, so you can easily control who sees what for categories like Work, People, and Places. View your profile as “Yourself” or you won’t see the Edit buttons under each section. While doing this I also recommend setting up a Gravatar account with the same image. Gravatars are your avatars linked with your email address and can be found publicly by anyone that has your email address. WordPress posts and comments often show gravatar pics by default for their readers and authors. Its possible Google cross checks info with Gravatar so it can help Google recognize you. The more often Google recognizes your content, the more it helps build your authority. On your site when a post is made, make sure you include ‘By Author Name’ somewhere on the page. This is called the byline, and Google looks for this to help decide who wrote the post. Is your blog running WordPress? It can take from a few minutes to several weeks for Google to show your picture along with search results, so use Google’s Rich Snipit Testing tool to make sure everything is as it should be. Originally published by Pam Dyer at Pamorama under Creative Commons. Her blog helps businesses use social media marketing programs to improve branding, find leads, and increase sales. This is a great article. 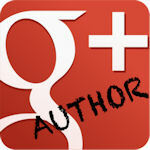 It is just too bad that Google is officially shutting down authorship. They tags will still be relevant, they just won’t carry the weight that they once did. Exactly Nick. Even though Google essentially shut down some elements of authorship (largely how it showed up in Google results) going through this process is very helpful for helping Google understand about what you write about, and potentially add weight/authority to your content where your influence is stronger.